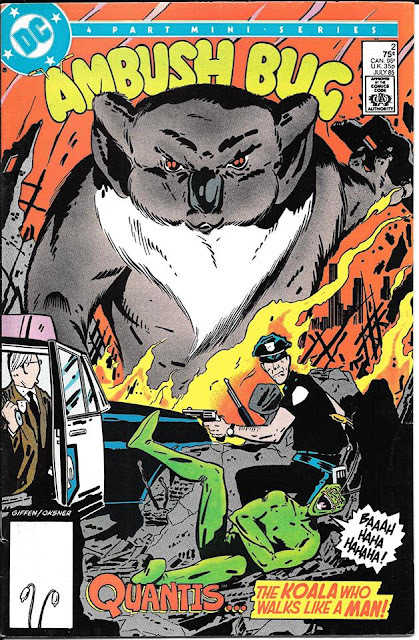 I wish I could be excited about a Giffen-written Ambush Bug in the near future...but the stuff he's written lately just has not been funny. Maybe it's an editorial issue, because his run on the Doom Patrol pre-Flashpoint (which featured Ambush Bug) was great! I feel somewhat the same. 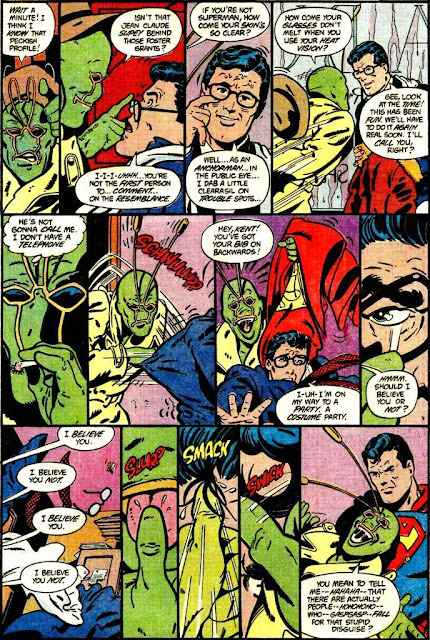 Ambush Bug hasn't seemed like Ambush Bug for quite a long time. I would still give him a shot though. Giffen often surprises. And I think I lept off his Doom Patrol far to early, missing AB's appearances completely. As soon as I saw the success of Deadpool, I thought that WB would take a look at Ambush Bug. I just don't know if they would work with him on either the big or little screen. Berlanti could even work him into his shows now and I think he would work. Great write-up, by the way. Makes me want to record a podcast on the subject. It would be great to See Cheeks, The Toy Wonder team up with Little Wooden Boy. You were the man that put Ambush Bug in my hands. You know that, right? I was so happy when they released the SHOWCASE PRESENTS: Ambush Bug, which was an advantageous... advantageous... way of reading a whole lotta AB. Someone bump the table, Chris' record has a scratch in it.